Love it. Live it. Share it. 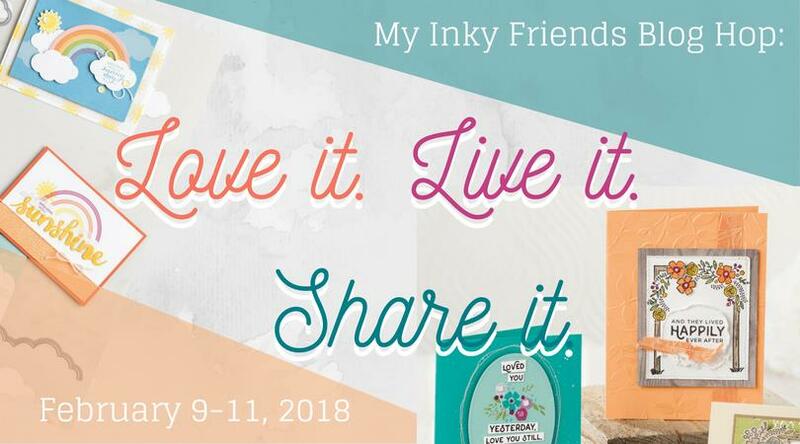 with the Inky Friends 2018 Occasions Catalog Blog Hop! Join us for a trip through a few great items from the Occasions Stampin' Up! catalog. 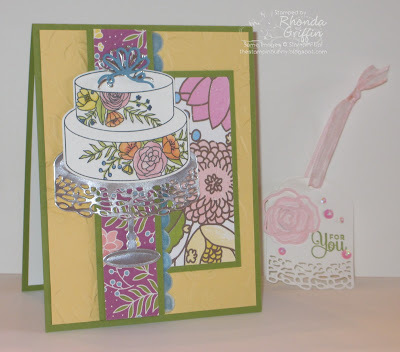 You may have arrived from Heidi's Blog, Running with Scissors Stamper and enjoyed her creations with the Let the Good Times Roll Bundle. Weren't her cards fun and fantastic? 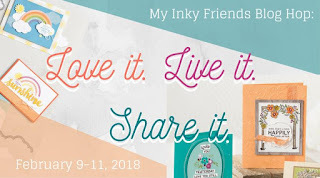 For a full list of participants with links, go to the Inky Friends Blog. I'm using the Sweet Soiree Suite which has such great colors in the designer series paper and available embellishments. For this Three Tier Slider card, I used the video by my Inky Friend, Tanya to create this sparkly birthday card for my mom. I love how the design of the card replicates a tiered cake, so I really wanted to make this card design. I tweaked the measurements so that it could be made with 8-1/2" X 11" cardstock. I will post those for you next next week, but her video tutorial is nice and helpful, so I recommend using it. The choices in the Sweet Soiree Embellishment Kit were so fun with this card. I loved putting the exact numbers on the cake and using the Marina Mist silver foil tassel for the pull point. It is necessary to glue the vellum pieces really well so that they don't snag. I used the fine tip glue pen for that. On the little tag below, I used the Dark Pink Pirouette Blends marker to pink-ify the Whisper White 1/4 inch organza ribbon. I used the tiny rose die cut with a similar stamp under it for color, and then just added the For You as a "leafy" sentiment. A smattering of iridescent sequins added just a big of bling. On the card, I used this month's Viva La Verve sketch challenge, VLVFeb2018 , to place these pretty papers and embellishments one more time. VLVsketch I colored what is arguably the main image for this Cake Soiree using Blends, and popped it on a silver foil cake stand. This is such a happy color combination to me. I covered the cake and bow with Clear Wink of Stella, but sadly, I couldn't get it to appear on camera. 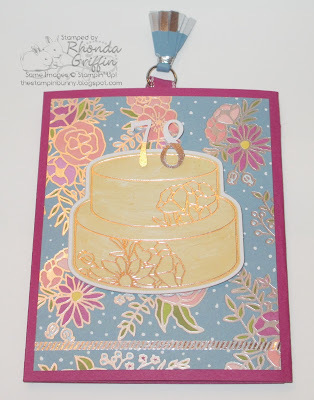 Now, I can't wait for you to see Twila's work with the A Good Day Stamp Set on her Stamp a Little Longer Blog. What cutie pie creations! That bunny is amazingly sweet.